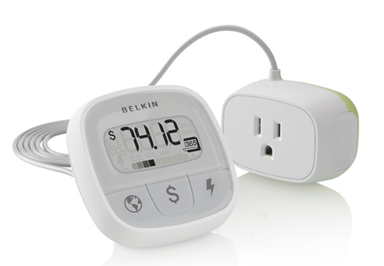 Here is a nifty little gadget, the Belkin Conserve Insight. It will tell you how much energy your electronics use. It will even break it down by cost per year, cost per month, the amount of carbon dioxide produced and watts used. Oh, wow, that is awesome!